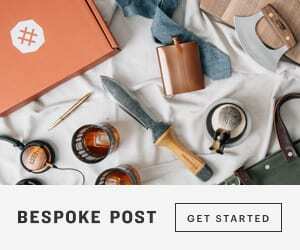 Bespoke Post is a monthly subscription box for men. Each month they release at least one new Box of Awesome. It’s a limited edition collection of products packaged together – in a box. Each box is built around a specific story or theme – their goal is to introduce men to something new. At the beginning of the month, you’ll receive a detailed box description in an email. Ship it, or skip it at no cost—the choice is yours. And remember, free shipping and no hassles. Box Details: Bespoke Post scours the world for fresh and interesting products. Each month they create a themed ‘Box of Awesome’ that will introduce you to a new and different way of thinking. In the previous months, they’ve sent aged cocktail sets, coffee hand-grinders, high-end shaving kits, and more. 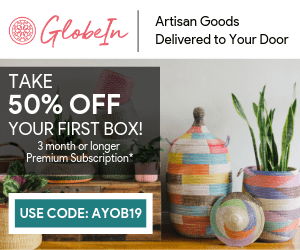 A monthly subscription box for men. Each month they release at least one new Box of Awesome. It’s a limited edition collection of products packaged together – in a box. Subscribe to Bespoke Post today!